Amman (AFP) – Jordan’s King Abdullah II firmly rejects the idea of a confederation with the Palestinians in the place of a two-state solution to the Middle East conflict, the royal court said Wednesday. Palestinian president Mahmud Abbas told activists Sunday that White House aides Jared Kushner and Jason Greenblatt had proposed the idea of a confederation with Jordan, one of the activists said. 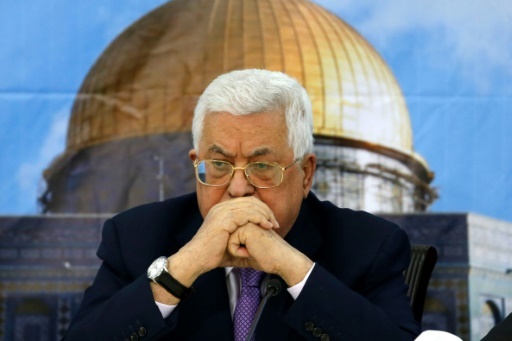 Hagit Ofran of Israel’s Peace Now NGO reported Abbas as saying he had told the US officials, who are working on a peace plan, that he would only be interested if Israel was also part of such a confederation. Abbas’s office confirmed the meeting with Israeli peace activists had taken place, but did not confirm his comments on the confederation. Neighbouring Jordan, along with most of the international community, has long supported a two-state solution to the long-running conflict. Palestinians see the idea of a confederation as destroying their long-held dream of a state. But some on the Israeli right see the establishment of a Palestinian-Jordanian confederation as a way to avoid the creation of an independent Palestinian state. They argue that it would also absolve Israel of any responsibility towards the 3.5 million Palestinians in the West Bank, currently under Israeli military occupation. The Palestinian Authority severed contact with Washington after President Donald Trump recognised Jerusalem as the capital of Israel in December. In response, Trump said in January he would cut aid to the Palestinians in order to push them back to the negotiating table. The US said Friday it would cease all funding to the UN Relief and Works Agency for Palestine refugees (UNRWA) which helps some three million needy refugees across the Middle East. Palestinian leaders see these moves as part of an effort to “liquidate” their cause. Featured Photo: AFP/File / ABBAS MOMANI. Palestinian president Mahmud Abbas, pictured August 2018, said that White House aides Jared Kushner and Jason Greenblatt had proposed the idea of a confederation with Jordan, an idea that Jordan has rejected.